1. 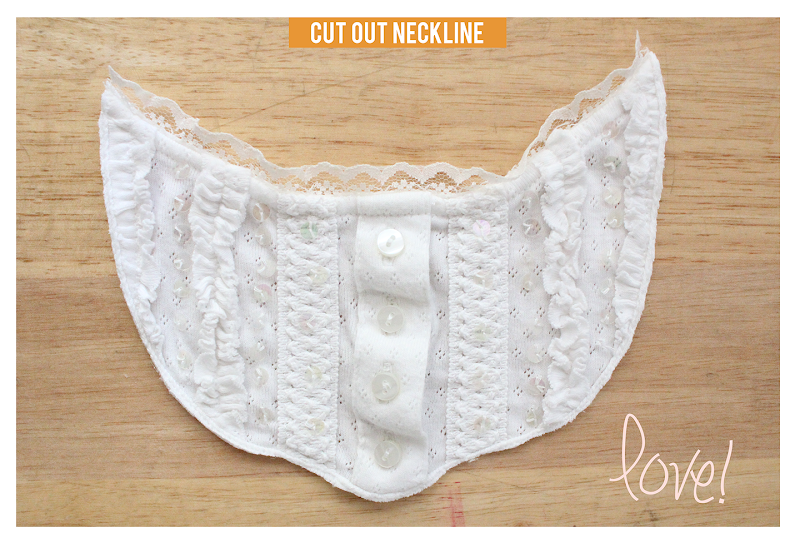 Start by carefully cutting out the detail neckline from the top with a pair of scissors. 2. Wrap the chain along the back of your neck and bring both ends to the front to determine where you want your necklace to hit. Cut off the section you need using wire cutters. Then taking needle nose pliers, bend each end of the chain open. 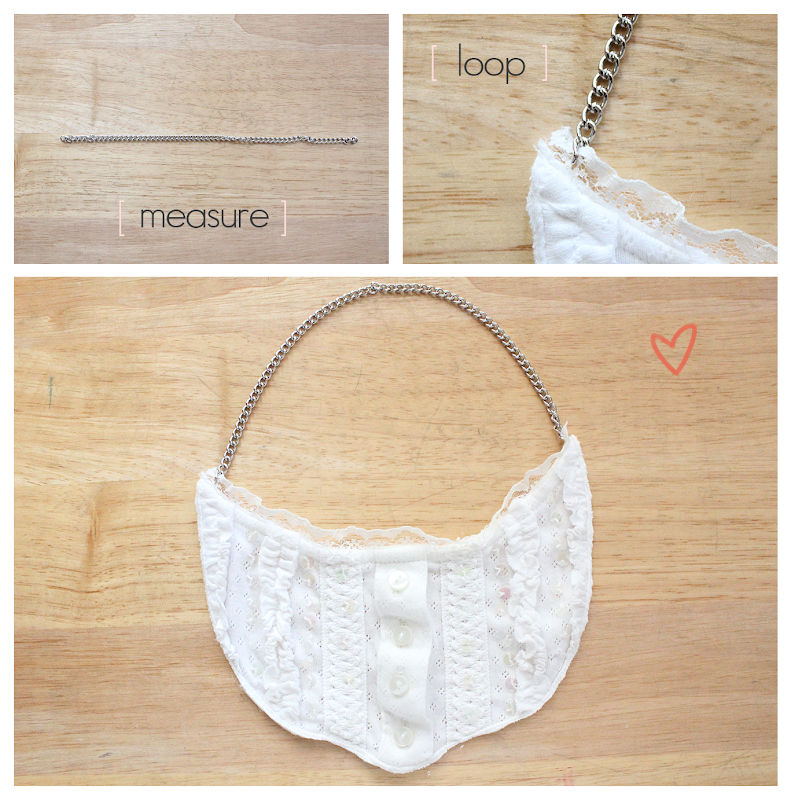 Take the opening and weave it into any part of the crochet/lace, and close it off. 3. But we're not done yet! 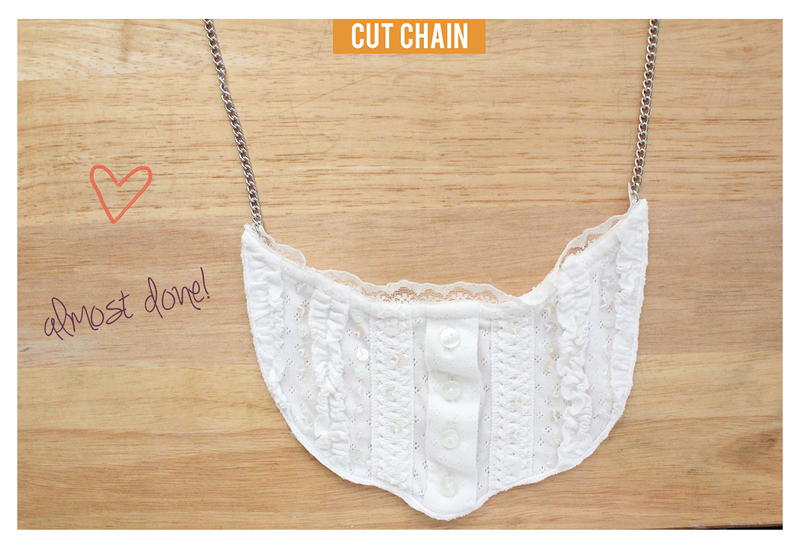 Depending on how long the chain is—my desired length was too short to just slip over my head—cut the chain in half. 4. Measure out 2 pieces of ribbon of equal length. 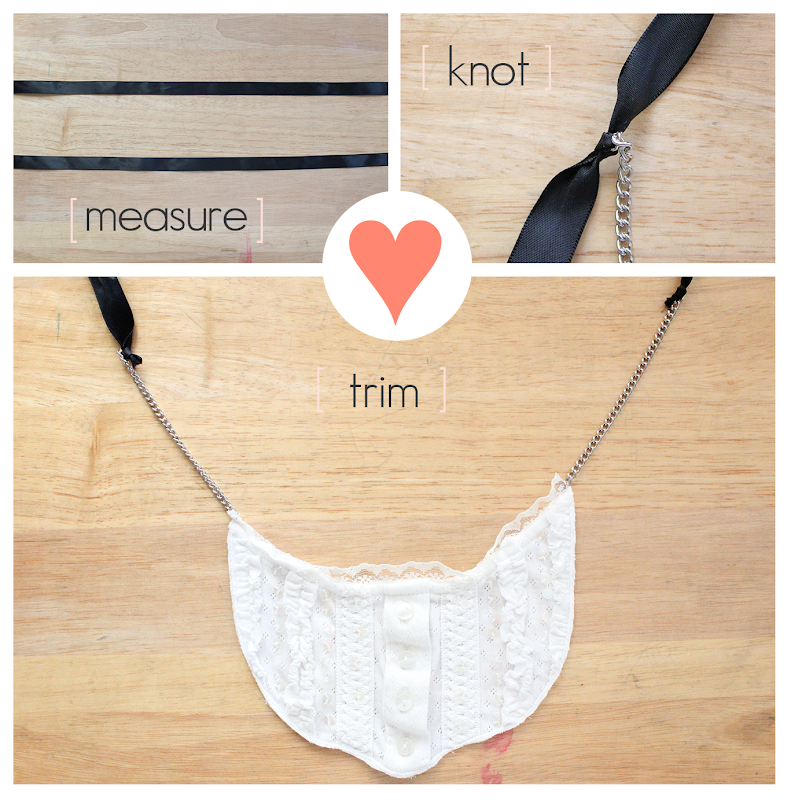 Taking one of the pieces, loop it through an end of the chain and tie it off into a knot. 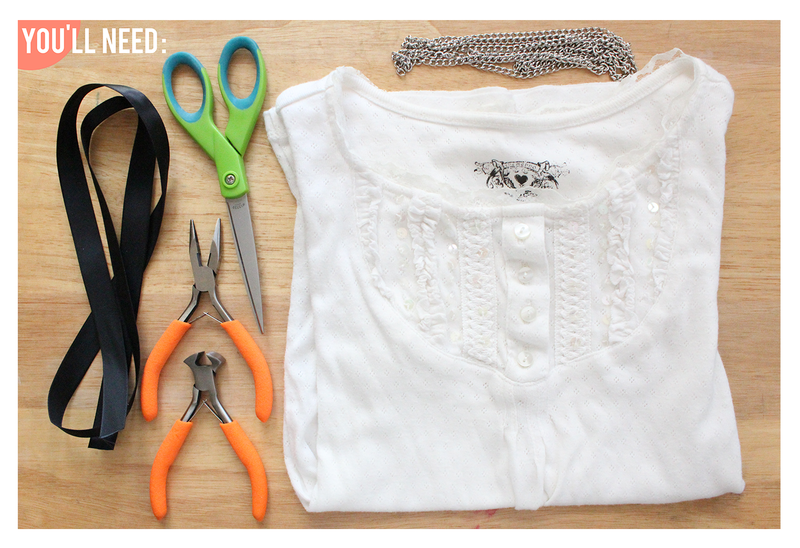 If there are any excess parts, use scissors to trim it off for a clean finish. Repeat for the other side. 5. 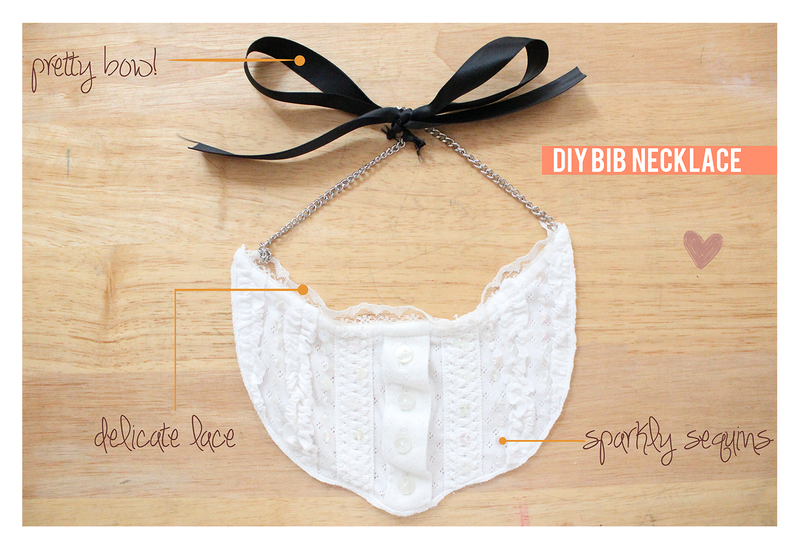 Your DIY Bib Necklace is now complete! 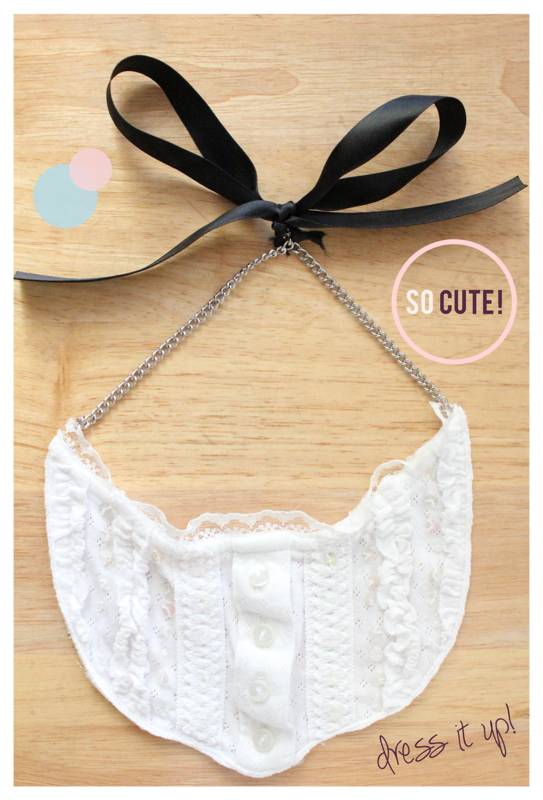 Pair with an outfit for a pretty look! This is great! I've seen some of her craft videos, but didn't see this one. Super cute!